"I've emailed over 300 venues and only got two or three replies back. It’s really hard." Maxi Shield. Image: Ann-Marie Calilhanna. Drag queens are increasingly competing for work outside of Oxford Street. John Voutos explores how Sydney’s drag scene evolved with the lockout laws. Shay Evans is among several drag queens struggling to find work in Sydney’s nightlife. 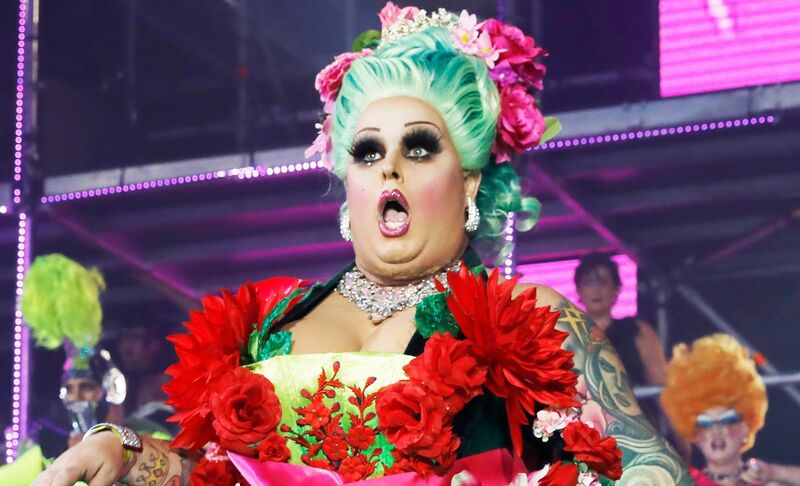 For those who know him, Evans is the ordinary, working-class man behind the over-the-top diva known as Felicity Frockaccino, who calls out bingo numbers to her audience once a week while enduring the pain of five-inch heels. 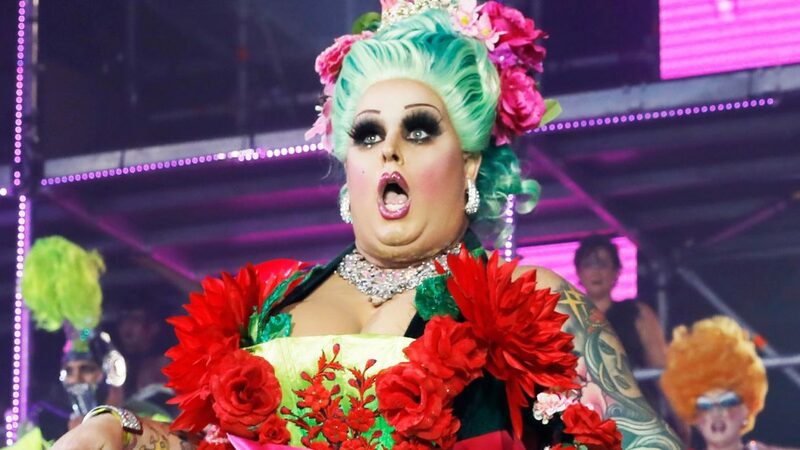 Evans is one of the estimated seventeen drag queens who have been forced to competitively source work outside of Oxford Street ever since Sydney’s lockout laws started to apply there. Wearing his “sewing shoes” to prepare a costume for an upcoming gig, Evans says trying to find work in venues has been a really hard slog. “I’ve emailed over 300 venues and only got two or three replies back. It’s really hard,” he says, adding that “property prices, high rent, and gentrification” have also prevented performers from receiving reasonable fees. A recent parliamentary inquiry into the music and arts economy in New South Wales found that strict lockout laws have resulted in the net loss of 176 entertainment venues and made it harder for performers to earn a living. Labor member John Graham says the inquiry, chaired by Paul Green from the Christian Democratic Party, had been told there was a pressing need to clear the regulatory hurdles that prevent venues from staying open and performers from working. President of the Sydney Gay and Lesbian Business Association (SGLBA), Mark Haines, says Australia’s gay epicentre Oxford Street is now “unrecognisable”, with many boarded up shopfronts and empty premises, a pale shadow of its originally vibrant, pink self. “The variety of venues have changed due to a reduction in their availability, which has probably hurt the [drag] industry a little bit, but the industry has diversified,” he says. Former promoter of the now closed Nevermind Club on Oxford Street, Tim Duggan, says his club would not have existed today under the lockout laws. 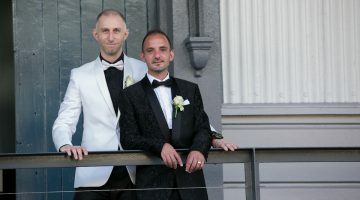 He points back to Stonewall Hotel’s inclusion on the state government’s Violent Venues Scheme, which he describes as an “early version of lockouts”. “The police would pace up and down the area… [Stonewall] had an early closing time of one thirty or two o’clock and so we used to get a lot of their crowd,” he says. Full-time drag performer Maxi Shield says the lockouts altered her schedule from seven nights a week to two, and that she has had to give venues that felt the pinch of the ‘lock’ cheaper and more cost-effective options. “To people who say ‘Oxford Street is dead’… it’s not, it’s just changing,” she says. Both Shield and Evans say forming their own niche market has been a necessity in order to find work. “I’m not the generic tall, beautiful, drag queen… but I’m a businesswoman,” Evans says, flipping his imaginary wig. “I don’t actually qualify for Centrelink or any backup financial services, so if I don’t have work, I don’t live. I’d have to go back to New Zealand. Despite drag’s long standing roots in the LGBTI community, Evans says it’s been easier to get gigs at straight venues of late. “Straight venues [are easy to get]. Hello? I’m in a straight venue right now,” he says, lifting his baggy-eyes to scan the roof of the Salisbury in Stanmore, where we are sitting for a drink.